Good Night Alive released this spooky video for their new song “Killing You Slow” just in time for Halloween! DOLLHOUSE STUDIOS presents the SAVANNAH STOPOVER 2015 SESSIONS featuring Reptar, Matthew E. White, Family & Friends, Cobalt Cranes, Capsula, and more! MODERN BASEBALL performs “@CHL03K” and “Fine, Great” for an Acoustic Alley session recorded December 2014. Enjoy! 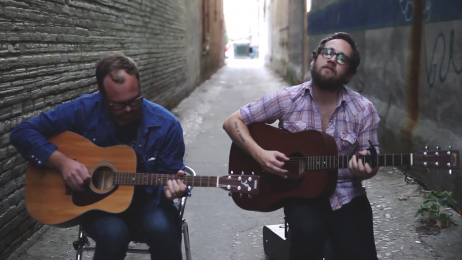 Folk-pop act THE VESPERS stopped through Macon at The 567 last November and took some time to record this beautiful ACOUSTIC ALLEY session with us! STOKESWOOD recorded a wonderful Acoustic Alley session with us prior to their September 5th show at the Cox Capitol Theatre, playing songs from their newest album.